Norway, and Oslo in particular, can be summed up in three words: ‘stengt, dyrt , vakkar’ (closed, expensive, beautiful). Norway, and Oslo in particular, can be summed up in three words: ‘stengt, dyrt , vakkar’ (closed, expensive, beautiful). I have travelled extensively throughout the Nordic lands, all of which enjoy a high standard of living and quality of life. But I still reel at the fact I paid the equivalent of GBP15 for a margarita pizza … and that was without any oregano or black pepper on top! At least the restaurant, which overlooked Oslofjord, was open and both the location and the staff were stunningly beautiful. In fact, as a nation, the Norwegians seem to attractively good looking but generally totally unaware of this fact. The other thing that struck Mandy and myself was the efficiency of the city’s public transport system. The buses, trains and boats all tied in to each other with virtually no waiting in between connections. Even so on our return to Gardemoen (Oslo Airport) I was in British transport mode and having just missed a train by a minute thought we would miss our plane to Narvik. I’d momentarily forgotten this is Norway and of course another, indeed faster train, to the airport appeared as I was panicking. I should have known given our smooth journeys from our hotel to the city centre and then out to Bygdoy and our sojourn to Vigelands Park – a real bargain as we got there and back within the hour on the same bus ticket and had enough time to enjoy the sculptures and flowers – what seemed like acres of beautiful roses or meadow-effect plant beds. The bus driver looked gutted we had just started our return journey with a minute to spare from the start stamp time. Result! Sadly we could not therefore stop off on the way back to check out the pet clothing emporium we had spotted on the outward journey. It offered a range of dog and cat clothing! So Mandy’s cat reclines on the back patio still thinking she’s modelling cat haute couture in her royal blue collar with matching bell. She does not know what she has missed!Lucky escape I would say! I had to visit Norway’s main library - the Deichman library (Deichmanske Bibliotek) (that must surely have been set up by a distant relative!). The historic museum was interesting – but we got there with an hour to spare before it closed. 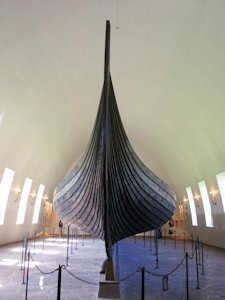 It was still an opportunity to indulge my interest in the Vikings only to be surpassed by the Viking Ships Museum on Bygdoy. I first visited this museum 30 years ago and was overawed then by the Gokstad and Oseberg ships. Once again I was stunned by the scale, design, grace and beauty of these ships. Even though these were ‘grave’ ships, just imaging their counterparts appearing on the horizon a 1,000 years ago or more as they headed toward the shores of Scotland and NW England made me feel proud of my birthplace’s ancestral connections with the Norwegian Vikings, for it was they who settled on the Wirral, via Ireland. Bydgoy is a promontory into Oslo fjord and a short boat ride from the city centre that offers a different perspective on the city. 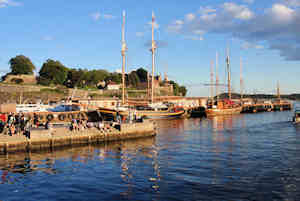 It is a quiet residential suburb which is also home to the Fram, Ra and Kontiki boat museums and the Norsk Folk Museum (an outdoor museum of buildings). Again each was an absolute ‘must see’ in our book. Mandy had been inspired by the Kontiki as a child and I hold a fascination with Antarctica so we could not miss visiting these boats. 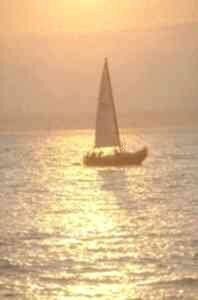 They were incredibly small compared to the journeys and locales they sailed to. Wandering around the Fram I still cannot believe how small some of the cabins were. Mind you, by comparison to the Ra and Kontiki this is a substantial vessel. The latter two crossing the Pacific would have been like a wine cork bobbing in an Olympic size swimming pool and the on board shelter looked flimsy for such an epic voyage. One can only admire Thor Heyerdahl and indeed those first nameless explorers. The Norsk Folk Museum provided a chance to be outside in the summer sunshine admiring the houses that had been transported to the museum from the various regions of Norway and has the only example of a Stave church in southern Norway. 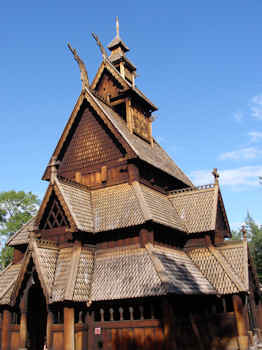 Stave churches are wooded churches unique to Norway, it is as though the cloister is wrapped round the outside of the church itself but the roof detail with the dragons heads, reminiscent of Buddist temples in Malaysia and China, is so beautiful and like the roof tiles carving out of wood. For me this was the most fascinating of the buildings on display. Oslo City Hall is best viewed from Oslofjord as it stands proudly at the fjord’s head. Its design is somewhat wanting for such a centrepiece structure and reminds me of the air vents for the Birkenhead to Liverpool road tunnel. It is the venue for the presentation of the Nobel Peace prize (all the other Nobel prizes are awarded in Stockholm). In Alfred Nobel’s time Norway and Sweden were one and Oslo was known as Christiana. The main Avenue leading to the Royal Palace is beautiful parkland with stunning fountains and statutes. The Royal Palace has a slight look of Buckingham Palace in London but in colour and scale, I felt it was more homely. 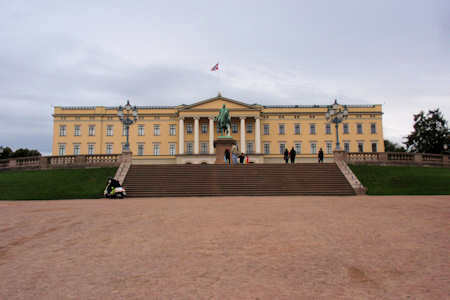 We walked along the main Avenue on a couple of occasions during the trip... it was free, a Norwegian rarity. The first time it was very peaceful and serene. However, the second visit was quite the opposite as we tried to avoid hordes of modern horned helmet clad Vikings chanting and marauding through in their football shirts. Norway were playing host against some other European team. I have to admit compared to similar events in Manchester it was relatively civilised. The other resounding memory of this trip was that many places and things were either closed or just about to close as we arrived to visit them. We were there in August yet this seemed to be outside Norway’s main tourist season. 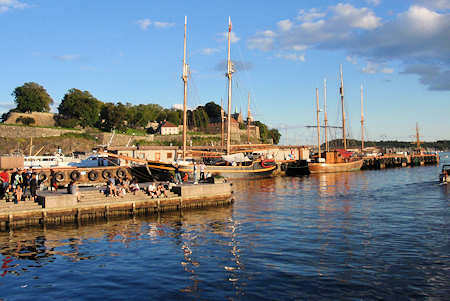 If you enjoyed reading the above article then you will probably also enjoy Stockholm by Jane Dickman, and Tenerife, also in Europe, and our latest articles covering the Orinoco Delta, La Mata, Marbella and Beijing.